critical elements in the development, implementation, operation and maintenance process through which the reliability of a system, including hardware and software, can be continually improved. Despite efforts to discover potential failure modes early in the design cycle and prevent their manifestation, unanticipated failures do occur. These failure modes may have eluded discovery during early design analysis, or corrective action may have been partially, or even completely, ineffective. 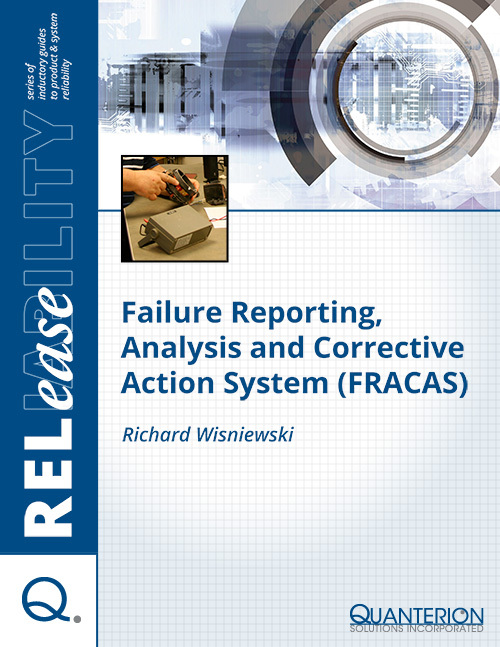 To reduce the risk of such failures escaping into fielded product, it is imperative to follow a structured approach with respect to failure documentation, root cause analysis, and corrective action development, implementation and verification. This structured approach is referred to as a FRACAS.